Allegra Boverman/Gloucester Daily Times. 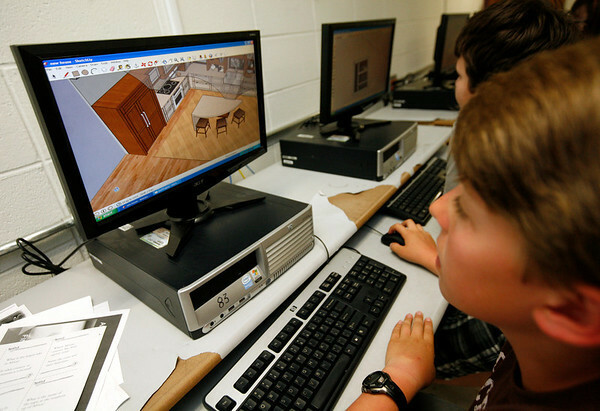 During the Computer Aided Design afterschool program at O'Maley Innovation Middle School on Monday, Jared Gilman, a seventh grader, designs his "dream home," using Google SketchUp, which helps users design in three dimensions. He was giving a tour, showing the kitchen he designed. During the program's previous sessions, students designed ship hulls and airplanes.